Industries in the First World War from drawings by Joseph Pennell. Free UK postage on this item. This listing is for two prints (back to back on a full page) from a publication, as the date states and not a modern reproduction. 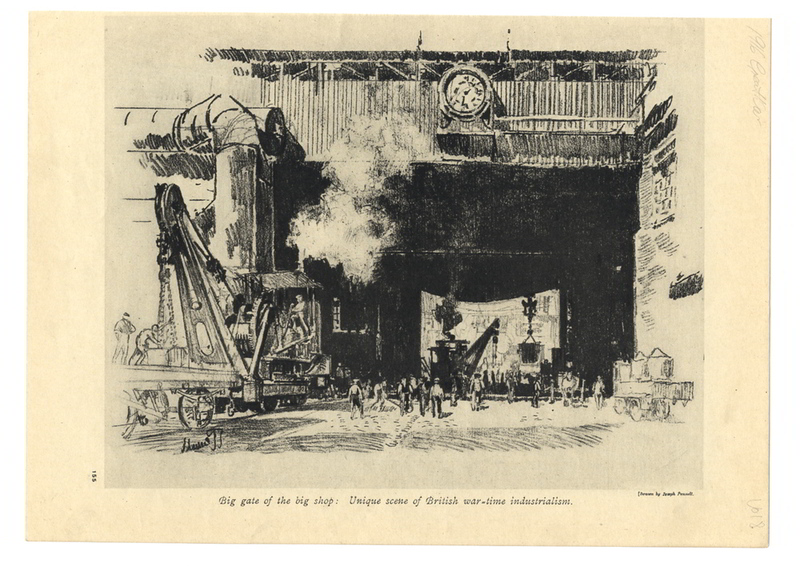 A full page print from a drawing by Joseph Pennell with title to the border Big Gate of the big shop: Unique scene of British war-time industrialism. It shows men working on a crane on a track just ouside the large work shop; men working and other machinery in the background. 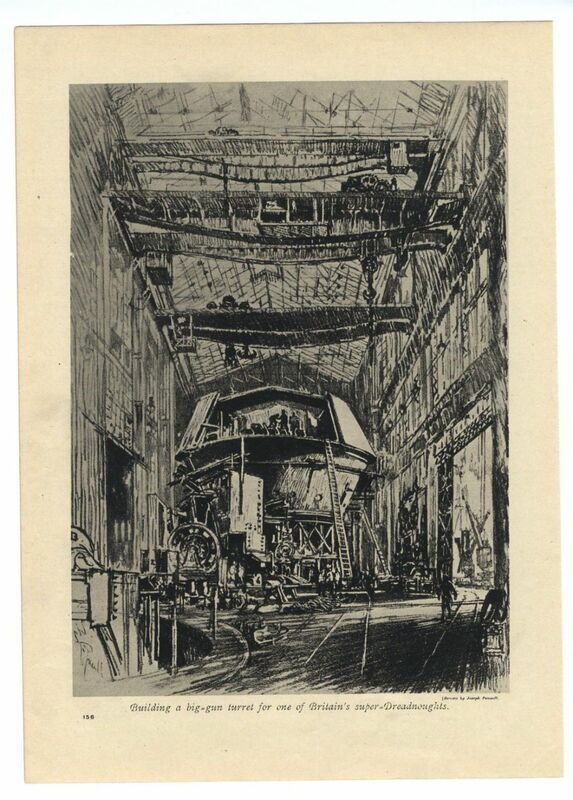 On the other side of the page is a full page print from a drawing by Joseph Pennell titled to the border Building a big -gun turret for one of Britain's super Dreadnoughts. 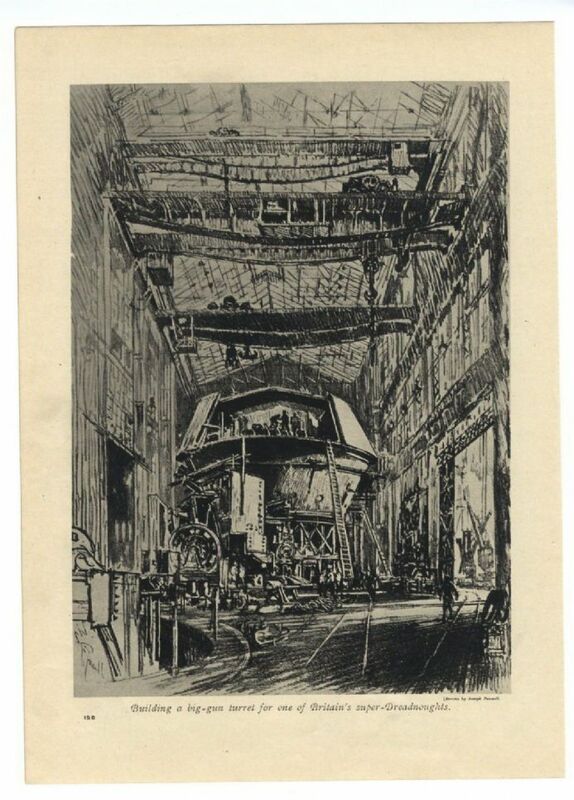 Men working in a huge hangar type building on an enormous big-gun turret. Info. Joseph Pennell (1857 - 1926) was an American artist and author. Born in Philadelphia. Provenance: The Great War - Amalgamated Press. Published circa 1916.